Tax authorities in Azerbaijan announced that the Union of European Football Associations (UEFA), which is responsible for the upcoming Europa League (football) soccer final match and the EURO 2020 games that will be held in Baku in May and in 2020, respectively, could be exempt from taxation in accordance with the amendments to the Tax Code, AzVision.az reports. The amendments have been made to the Tax code at today's plenary session of Milli Majlis. The amendments to Azerbaijan’s tax code exempt revenues earned by UEFA, the non-resident legal entities created by UEFA, and the non-resident football teams across Europe participating in games held in Baku, from different kinds of Azerbaijani taxation. 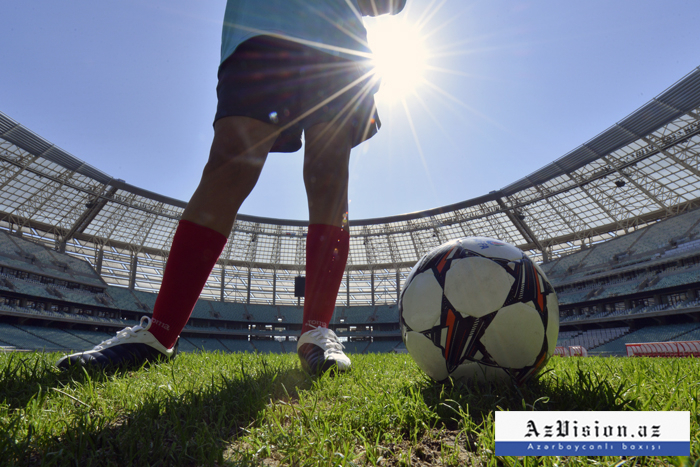 The list of non-taxable revenue includes earnings from the selling of goods, delivery of event-related services, as well as incomes of players and employees of non-resident football clubs. The law, once it goes into effect, will be in force during the matches that are held between from March 1, 2019, until after the EURO 2020 games wrap up on August 1, 2020. On May 29, Baku will host the final game of the 2019 Europa League, considered to be UEFA’s second-best club-level football championship after the Champions League. In 2020, three group games and a quarter-final match of the UEFA European Football Championship will also be held in Azerbaijan’s capital city on June 13, 17, 21 and on July 4. UEFA picked the 70,000-seat Olympic Stadium in Baku as the venue for the games.